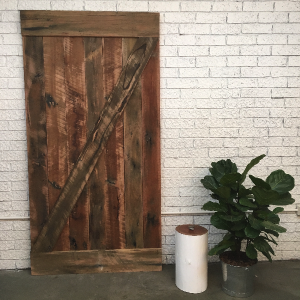 Our salvaged and reclaimed timber barn doors are guaranteed to add character and charm to any room. We have design options for single and double doorways and also courtyards. Timber textures range from naturally weathered to highly polished. 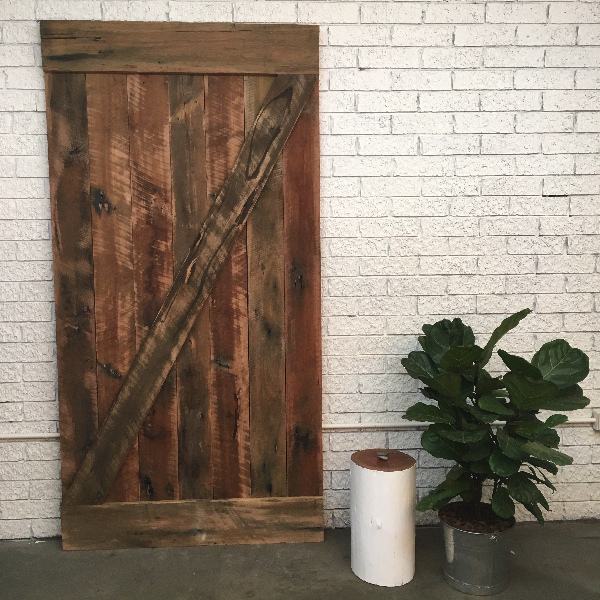 Popular styles include the Panel, Plank and Z-Frame. Tracks and hardware sold separately. 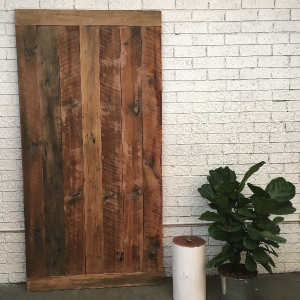 Timber Trading Co was established to meet the demand for unique high-quality furniture and feature pieces made from sustainably sourced Australian hardwood timber slabs and salvaged timber, combined with custom metal fabrication. We have built a collaborative workshop where we can conceive, design and finish projects for individual bespoke installations, or complete commercial fit outs. We have a wide selection of timber slabs and salvaged timber to choose from, and the time and space to sit down and discuss your requirements.